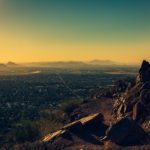 Fix My RV is a top-rated RV service that operates in Phoenix and the surrounding suburbs and areas. Our mobile RV service Phoenix technicians can come to you if you are on the road and find yourself needing an RV repair. We also perform regular maintenance checks and can weatherize your RV and get it ready for the next season. Our friendly customer service is what sets our Phoenix RV service apart from the rest. If you need help with any of the following, give us a call. We can assess and fix RV hot water heaters, RV appliance repairs, RV refrigerators, RV stoves, and RV furnaces. We carry out all types of mobile RV repair Phoenix services to the engine, wheels and other areas that are important to keep you rolling. Our techs would rather take their time and do things the correct way without cutting corners than speed up our repair process and leave you with a repair that is only half fixed, or worse, dangerously fixed improperly. 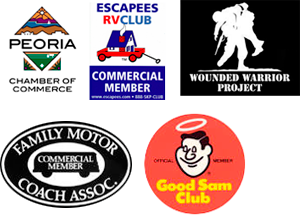 Our top-rated RV services Phoenix are services that you can count on when you need it the most. We will not leave you beside the road, waiting and broken down. When you call Fix My RV, we spring into action and come to you to efficiently carry out the necessary repairs to get you back on the road in no time at all.